And so, at last, Celtic came to the Estadio Nacional to play their match. It was an idyllic setting. The stone, horse-shoe shaped stadium perched above the gentle slopes of a wooded valley. A grey dawn had given way to brilliant sunshine for the match. Back in Glasgow the streets were said to be empty, although the identity of the person who could actually leave his TV set to establish the fact has yet to be revealed. Celtic’s difficulties with the bus journey proved an advantage. Little time remained to worry. Once the players had disembarked from the vehicle, examined the pitch (and been astounded by the vast number of supporters), selected their boots, and settled down to get changed the kick-off was comfortably close. Despite his protestations Stein was still deeply concerned about Inter’s lineup. He could not shake off the suspicion that Suarez would suddenly be produced. “Ach, he’ll play,” he was heard to mumble as he prowled the dressing room. Inter attempted to delay submitting their team lines but Stein made it clear that his men would not take the field until he had been shown them. They were presented; Suarez was out, Bicicli would replace him. The dressing room was hot and uncomfortable. It was of unorthodox construction, being split into two compartments by a central area of bath and showers. The team was accordingly forced to split into two separate sections. It was an unpleasant place to be as they felt their anticipation rise and tried to fight off the inevitable twinges of panic. The time for discussion and encouragement was gone. The words had all been used up long before. The game kicked off and Celtic began to discover the truth. They bustled into life and immediately cheered their supporters. Johnstone twisted, turned, and attempted to send Chalmers into the area. He was easily crowded out but the fans accepted the move as evidence that Celtic would not be immobilised by stage-fright. That early encouragement was made to seem decidedly hollow by the economy and menace of Inter’s first real attack. Quick simple passes put Cappellini in space on the left. He calmly picked out Mazzola and directed a fast cross towards him. The forward did nothing wrong at all. He rose above the ball and directed his header down to the Celtic goal. There was Ronnie Simpson blocking the path with an efficient but ungainly scramble across his line; the ball rebounded from his thigh to safety. It seemed that a disastrous pattern was being established. Celtic would do the bulk of the attacking while Inter did the best of it. Others suggest that Craig was clumsily attempting to tackle with his right foot when the left should have been used. No matter. The interpretation of the outcome was clear. Mazzola’s penalty might have been plagiarised from a coaching film. The ball rushed into Simpson’s right-hand corner while the keeper went left. Unless his thought processes were markedly different from those of the average fan he must have been suspecting that Inter had taken possession of the match. The Italians had the perfect encouragement to retire behind their defensive fortifications for a paltry 82 minutes or so. Johnstone is too modest. It was not the occasion for a personal triumph but he was often at the heart of the action. The game, now directed by Auld and Murdoch, was punctuated by alarms and half-chances deep in Inter’s area. Auld nearly levelled the match when he unbalanced the central defence with a little shuffle and coasted past their right-hand side. His angled shot slapped the face of the bar. There was an almost hysterical excitement about Celtic’s play. Ronnie Simpson raced from the box to clear but was suddenly filled with dread that an Italian would charge the ball down. This attack of nerves prompted him to a response which appeared nerveless. He backheeled the ball to John Clark. Gemmell too was exuberant and came close on three occasions. Sarti miraculously hurled himself left to push one volley away just as the laws of physics were suggesting that nothing could prevent the collision of ball and net. Inter continued to hold out but they did so not through method but desperation. Billy McNeill: “We were the worst team in the world to try and defend against.” Half-time arrived with Celtic better placed than the bare evidence of the scoreline suggested. The referee’s whistle did not so much mark the cessation of hostilities as the beginning of a new contest. In any match involving the Italian sides there was always the fear that the referee might have been bribed. This suspicion was not necessarily bred of paranoia. Inter’s 2-0 victory over Borussia Dortmund in the second leg of their European Cup semi-final in 1964, for example, came to be viewed with scepticism when its Yugoslav referee, Tesanic, was later found holidaying on the Italian coast, allegedly at Inter’s expense. These apprehensions leapt to the forefront of the Celtic party’s minds when Inter received an early penalty. In fact there was not the remotest reason to question referee Tschencher’s impartiality. He was entirely correct in his judgement that Craig had fouled Cappellini and while some other decisions may have been questionable they did not seem to result from a consistent policy of favouring one side. Celtic, in a state of high alarm, could not view the matter so objectively. Stein and Herrera exchanged words at the trackside. In the tunnel some of the Celtic players rubbed thumb and forefinger together in the traditional gesture and asked Tschencher if he had been paid in lire or dollars. Fortunately, Celtic regained their self-control before the referee was forced to take action. By the time they reached the dressing room Stein himself was once more capable of soothing troubled minds. Craig was told to forget the penalty. Despite the turmoil he must have been feeling Stein looked assured as he insisted that the goals would come if the team continued to work and play as it had done. They were gently reminded of an aspect of strategy they had forgotten. Crosses were to be pulled back to the edge of the area so that the solid mass of defenders might be teased apart. If the ball continued to be pushed into the centre of the box Inter’s forces would all make their stand there and diminish the chances of a clear shot at goal. Inter had to be asked four times to leave their dressing room at the end of the interval. Their intention was to force Celtic to wait in the baking heat but it was already clear that this was a day when their resources of energy were too great to be drained. Celtic immediately established that the second half was to foJJow the pattern of the first. Against steadily weakening opponents the supply of chances grew but it seemed for a dangerously long time that Sarti would be equal to all of them. In a goalmouth scramble a shot actually beat him but he turned, leapt, and retrieved the ball as it reached the goal line. It would have disheartened a lesser side but Celtic had assumed a stature fit for the great occasion in which they were participating. In 62 minutes they concocted the most exhilarating goal in the club’s history. Craig, who had found even more space on the wing in the second half, took a pass from Murdoch and strode vigorously into the box. Defenders bunched in front of him to block a shot. Then, just as Gemmell was fearing that his screams for a pass had not been heard, Craig acted on Stein’s instructions. The ball was angled back with the precision of a scrum-half feeding his stand-off. The defenders catapulted forward but this time they could not intervene. Tommy Gemmell met the ball on the edge of the area and directly in front of the goals. Sarti’s quicksilver reactions were irrelevant. The ball was in the top right-hand corner of his goal and the human eye could scarcely tell how it had come to be there, so explosive had been the right-footed contact. It was the shot Gemmell had been born to hit. Sarti pointed to two Celtic players in offside positions but his colleagues did not bother to take up his protest. They knew justice had been served. When Gemmell let fly no human being could have interfered with the play no matter how they tried. This seems a little unsympathetic. Inter’s captain Picchi did indeed do as Gemmell describes but one doubts if the world contains a nation whose players could guarantee not to flinch in such circumstances! Inter had been broken and Celtic were out to serve formal notification of the fact on the scoreline. This chase for the winner alarmed Stein. who feared that Inter might punish such a loss of discipline. The Italians, in fact, no longer had the strength to pose a threat. throughout the second half they had hit long balls over the Celtic central defence in the hope of putting Domenghini clear. They persisted in the tactic although, on every occasion, John Clark and Ronnie Simpson neatly tidied up between them. After his uncomplaining sacrifice in Prague, there could not have been a more popular scorer of the historic goal. The crowds massed for a pitch invasion which had clearly not been anticipated by the Portuguese authorities who made no attempt to forestall it. Celtic agonised and Stein turned his back on the pitch but their fears were only hallucinations. Inter had accepted the inevitable. Bertie Auld displayed his special talent for this fag-end section of the match by securing pointless throw-ins and shielding the ball at the corner flag. The referee’s whistle blew and Celtic were the champions of Europe. The stadium was consumed by ecstatic pandemonium. The uncontrollable joy of the fans sadly prevented a lap of honour but the excesses of their behaviour were easy to forgive. The team struggled to retain a few mementoes of the occasion – their strips for example. McNeill placed an Inter Milan top in his bag but found soon afterwards that it had vanished. Bobby Murdoch solved this problem by keeping his boots on in the bath although one wonders if this didn’t rather impair the attractiveness of those particular trophies. Not quite everyone surrendered to euphoria. Gemmell, who had looked close to exhaustion at points in the match, spotted an ice-cream seller as he left the field. Gemmell assumed that he might, in the circumstances, be allowed one on the house. Not a bit of it. The angry vendor pursued the full-back until Gemmell was able to find a journalist to pay him. It was intended that Ronnie Simpson should accompany McNeill to collect the trophy but he was too tearful and happy to do so. Eventually the captain completed his struggle across the park and crowned the day and Celtic’s history by raising aloft the massive, coveted trophy. On the tour through Glasgow the next day, and at Parkhead itself, Celtic took the curtain calls which had been postponed from the Estadio Nacional. Despite that, it would require months and even years to take the measure of their achievement. Some acclaimed them as the first British side to win the European Cup but that was a statistician’s honour. What mattered most was the magnificent football they had played. People blinked in surprise, suddenly reminded of the joy which had drawn them to the sport in the first place. There was nothing avaricious in Celtic’s endeavours. The size of their win bonus had not even been discussed prior to the match. It proved to be a handsome £1,500 a man. Their performance demanded such generosity. Celtic had restored glory to a tournament which had been tarnished by cynicism. Lisbon was a conclusion. On the bus leaving the stadium Stein said to Auld, “That team will never be beaten.” Auld thought it rather excessive praise and the true meaning of Stein’s words only emerged later. The line-up which had won the European Cup was given only a handful of outings thereafter. Stein would not allow his champions to risk becoming losers. There is pride as well as regret in Murdoch’s reflections. It takes a towering achievement to cast so long a shadow. Almost a fortnight after Lisbon a leg-weary and slightly fractious team took the field in the Bernabeu to play Real Madrid. Only the honour of appearing in the great Di Stefano’s benefit match had tempted Celtic to accept the invitation. Real, European Cup winners of 1966, were desperate to demonstrate their superiority to the new holders. John Fallon, who had been on the bench as goalkeeping substitute in each European match that season. was given the chance to demonstrate his worth. While Celtic struggled, he held Real at bay. As time passed Celtic’s competitive instincts began to surface once more. In the 69th minute they produced the only goal of the game. Jimmy Johnstone left half a dozen opponents in his wake and sljpped the ball through to Bobby Lennox in the inside-right channel. For a brief moment the voice of industrial Scotland drifted out over a hushed continent. From ‘One Afternoon in Lisbon’ by Kevin McCarra and Pat Woods. Still the best book on the subject if you can get hold of a copy. Inter captain Picci to goalkeeper Sarti. Inverting The Pyramid is Jonathan Wilson’s superlative book on the evolution of football tactics. 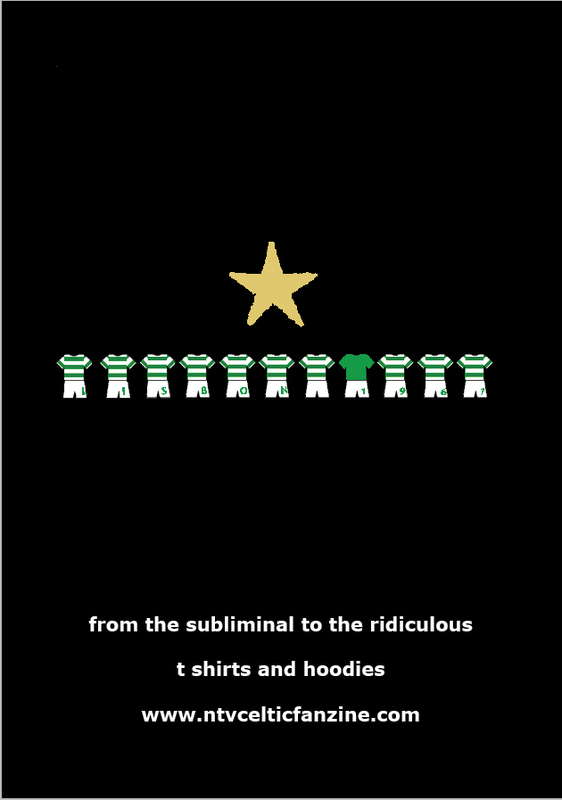 Here’s an extract from his chapter on Catenaccio, in which the author offers an interesting pespective on that famous day in 1967 from the point of view of some of the Italian players on the receiving end of Jock Stein’s attacking tactics. Above: Helenio Herrera, Inter coach in 1967. He pioneered the use of psychological motivating skills including slogans that were often plastered on billboards around the ground and chanted by players during training sessions. He also enforced a strict discipline code, for the first time forbidding players to drink or smoke and controlling their diet – once in Inter he suspended a player after telling the press “we came to play in Rome” instead of “we came to win in Rome”. He also sent club personnel to players’ homes during the week to perform ‘”bed-checks”. He introduced the ritiro, a pre-match remote country hotel retreat that started with the collection of players on Thursday to prepare for a Sunday game. Apart from that he was quite laid back. It was in 1967 that Herrera’s Inter disintegrated, and yet the season had begun superbly, with a record breaking run of seven straight victories. By mid-April they were four points clear of Juventus at the top of Serie A, and in Europe had had their revenge on Real Madrid, beating them 3-0 on aggregate in the quarter-finals. And then something went horribly wrong. Two 1-1 draws against CSKA Sofia in the semi-final forced them to a playoff – handily held in Bologna after they promised the Bulgarians a three-quarter share of the gate receipts – and although they won that 1-0, it was as though all the insecurities, all the doubts, had rushed suddenly to the surface. They drew against Lazio and Cagliari, and lost 1-0 to Juventus, reducing their lead at the top to two points. They drew against Napoli, but Juve were held at Mantova. They drew again, at home to Fiorentina, and this time Juve closed the gap, beating Lanerossi Vicenza. With two matches of their season remaining – the European Cup final against Celtic in Lisbon, and a league match away to Mantova – two wins would have completed another double, but the momentum was against them. If Inter were going to defend, the logic seemed to be, Celtic were going to attack with everything in their power. Jimmy Johnstone and Willie Wallace size up their oppoents while walking onto the Lisbon pitch. Jinky seems to have spotted someone he can swap jerseys with – a wildly optimistic idea for more reasons than one. Celtic, by contrast, made great play of being relaxed, which only made Inter feel worse. In terms of mentality, it was catenaccio’s reductio ad absurdum, the point beyond which the negativity couldn’t go. They had created the monster, and it ended up turning on its maker. Celtic weren’t being stifled, and the chances kept coming. Bertie Auld hit the bar, the goalkeeper Giuliano Sarti saved brilliantly from Gemmell, and then, seventeen minutes into the second half, the equaliser arrived. It came thanks to the two full-backs who, as Stein had hoped, repeatedly outflanked Inter’s marking. Bobby Murdoch found Craig on the right, and he advanced before cutting a cross back for Gemmell to crash a rightfoot shot into the top corner. It was not, it turned out, possible to mark everybody, particularly not those arriving from deep positions. Inter, exhausted, could do no more than launch long balls aimlessly forward, and they succumbed with five minutes remaining. Again a full-back was instrumental, Gemmell laying the ball on for Murdoch, whose mishit shot was diverted past Sarti by Chalmers. Celtic became the first non-Latin side to lift the European Cup, and Inter were finished. In 1967-68, morale and confidence shot, Inter finished only fifth, thirteen points behind the champions Milan, and Herrera left for Roma. Catenaccio didn’t die with la Grande Inter, but the myth of its invincibility did. Celtic had proved attacking football had a future, and it wasn’t just Shankly who was grateful for that. Brendan Rodgers speaking informally to some Celtic fans at the press conference today. Doncaster to Rejoin Banana Splits? Good luck to Hibs in the Scottish Cup. They’ll hopefully do better than they’ve managed in finals against Celtic. Manfred Lurker looks back at the all-green finals of the past. Hibs have a great tradition in the Scottish Cup. They have a great tradition of not winning it. True, they haven’t won much of anything during the last 50 years or so, but the Scottish Cup really is one of their speciality acts. The last time Hibernian had the cleaners polishing up the famous old trophy was in 1902. Arthur Balfour was Prime Minister, Lord Kitchener was busily organising concentration camps for detaining the Boers in South Africa, a law was enacted in Parliament to restrict the number of public houses in Ireland in order to prevent drinking (who says British colonialism wasn’t harsh?) and Boxers in China were revolting. Nearer home, work was just beginning on the Edinburgh tram network. Meanwhile, in the USA Charles R Debevoise was inventing what was later to become known as the brassiere. To begin with it never took off, and had we but known at the time, it was to prove a fitting metaphor for the Hibs; apart from their solitary 1902 triumph, they too failed to lift any cups, although at least the brassiere did make a comeback. To be fair to them Hibs have also subsequently had more than their fair share of diddies hanging around Easter Road. The 1902 Cup win was secured at Parkhead, of all places, against Celtic. The fact that scorer McGeachan had time to back heel the ball into the goal suggests that the marking was not exactly of Paolo Maldini standard. The final had been due to be played on the Saturday following an international between Scotland and England. However, due to the disaster that befell the spectators following the collapse of part of the wooden terracing at Ibrox, the venue for the game, the Scottish Cup final didn’t take place until April 24th. “The gate was naturally affected, only £700 being drawn for admission. A further £120 was drawn at the stand, and this was handed over to the Disaster Fund. Campbell was unfit and his absence caused a rearrangement of the Celtic attack, McCafferty being brought in at outside right. CELTIC: McFarlane; Watson and Battles; Loney, Marshall and Orr; McCafferty, McDermott, McMahon, Livingstone and Quinn. HIBERNIANS: Rennie; Gray and Glen; breslin Harrower and Robertson; McColl, McGeachan, Divers, Callaghan and Atherton. Referee: R. T. Murray, Stenhousemuir. Divers, the ex-Celt, was very prominent in the early movements, having a steadying effect on his colleagues, although the wind was proving difficult. Celts were showing good football but their shooting was atrocious, and as the game proceeded it became obvious that McMahon was most uncomfortable at centre. Only Livingstone caused any trouble to Rennie in the first half, during which Hibs were surprisingly methodical and more than held their own, without, however, managing to score. Early in the second half it appeared as if Celtic were going to win. Livingstone released a ball that seemed certain to beat Rennie, but it struck a colleague and diverted on to the upright to be cleared. Fifteen minutes from the end Hibs made a desperate effort. They forced a corner, and Bobby Atherton whether by accident or design, sent it along the ground, McGeachan, very cleverly be it said, backheeling it into McFarlane’s net. This roused Celts and until the end they hammered Rennie’s charge, even Battles being up among the forwards in order to force the equaliser. Above: The Hibs team that won the 1902 Scottish Cup. The trophy isn’t on display – a situation they would get used to over the next 115 years. One wonders what Maley would have replied had someone told him back in 1939 when he was writing his book that nearly three-quarters of a century later Hibs would still be trying to win the cup for a third time. As a postscript to the Ibrox disaster, the accident almost brought financial ruin on Rangers, as they were known then, as well as the SFA. Financial assistance came from several clubs, including Celtic, and a tournament was organised featuring the two Glasgow teams along with Sunderland and Everton from south of the border. Rangers put up the trophy they had won in the 1901 Glasgow Exhibition Football Tournament. Celtic beat Rangers 3-2 after a replay in the final, played at Cathkin Park on June 19th (yes, during the off-season) and they followed this up with a 7-2 win in another fund-raiser between the teams two months later at Hampden. Thereafter the story of Celtic and Hibs in Scottish Cup finals makes for happier reading for Hoops supporters. In 1914, before the Kaiser started a strop on the Continent, Celtic, starring Patsy Gallacher, beat the Hibees 4:1 in a replay after a 0:0 draw to secure the double. In 1913-14 we were given the opportunity of avenging our Scottish Cup Final defeat of 1902 as we met Hibernians in the final. Ibrox Park was the venue and there were 56,000 present in the expectation of seeing a keen game. Our luck was out that season so far as home draws were concerned as not once were we fortunate in the ballot, our opponents having choice of ground in every round. It is true we beat Clyde in the first round at Parkhead but that was after we had drawn 0-0 at Shawfield – we entered the second round by a 2-0 victory. Then to Forfar where we won 5-0, on to Motherwell in the third round to win by 3-1, and in the semi-final we beat Third Lanark by 2-0. Many changes had taken place in the team since the riot year; only MCNair, Dodds, Young and McMenemy of that lot took part in this final. CELTIC: Shaw; MCNair and Dodds; Young, Johnstone and MCMaster; McAtee, Gallagher, Owers, MCMenemy and Browning. HIBERNIANS: Allan; Girdwood and Templeton; Kerr, Paterson and Grosert; Wilson, Fleming, Henderson, Wood and Smith. Quinn had more or less dropped out owing to knee trouble and M’Coll, who was regarded as his successor, although a newcomer, was also unavailable. Owers had been transferred from Clyde to help us out some time before but had not proved very satisfactory, although he still retained his place. Hibs made a very plucky effort but were very much flattered with a draw at the end of the game as had Owers – to mention only one of the forwards – accepted half the gifts sent him, we would have won with something to spare. In the replay he was dropped, M’Coll being pronounced fit to play, and as it turned out his inclusion made all the difference. We were set to face a brilliant sun and Hibs took due advantage as they lashed the ball in the air and generally attempted to get our lads on the run. They missed one great chance early in the game when three of their forwards failed to reach a pass, Charley Shaw being in the same category. Then Celts’ forwards got going; M’Atee sent over a lovely ball and M’Coll deftly diverted it past Rennie to open our account. Three minutes later the clever young leader sent in a magnificent shot which Rennie could only palm out and M’Coll, who had stumbled after delivering his shot, struggled to his feet to return it into the net. Five minutes from the interval Browning scored a third and the cup was as good as won, but the scoring was not yet finished as early in the second half M’Atee sent across a ball from right to left for Browning to register number four, Hibs taking a slight consolation when Smith scored their solitary goal shortly thereafter. The next time the clubs met in the final was in 1923. The final was perhaps the dullest of all Scottish Cup finals, so tedious that one fan admitted to having had more interesting days watching his grass grow. As always, however, some features emerged. Once again the Maley brothers were in managerial opposition and, just as when he was in charge of Clyde back in 1912, Alec was on the losing side; the former Celtic player, Jimmy McColl, who had scored two of the goals that helped defeat Hibs in the 1914 replay, was now playing for the Edinburgh side, but he too was doomed to disappointment. The teams lined up before 80,000 at Hampden on 31 March, 1923. Celtic: Shaw, McNair, McStay W., McStay J., Cringan, McFarlane, McAtee, Gallacher, Cassidy, McLean, Connolly. Hibernian: Harper, McGinnigle, Dornan, Kerr, Miller, Shaw, Ritchie, Dunn. McColl, Halligan, Walker. It turned out, as expected, to be a grim defensive battle. Hibs had not given up a goal on their progress to Hampden but it was a tragic mistake by their international goalkeeper Harper that decided the final. Ten minutes after half-time he completely misjudged a long lob from McFarlane and the alert Cassidy had the simple task of heading the ball into an empty net. The match was perhaps notable mainly for the appearance of Alec McNair (below) in Celtic’s defence at the sprightly age of 39. 51 years later Celtic and Hibs squared up again in the 1972 final. Conquerors of now defunct Rangers in the semi-final, and having conceded only one goal on the way to Hampden, the Hibees were widely tipped to give Celtic a tough game. In other words, all the hacks who supported Rangers were hoping they’d beat Celtic as well. A fortnight before the game Celtic had fought out a 0:0 draw against Inter at Celtic Park in the semi-final of that season’s European Cup. Penalties had to decide who would progress to the final in Rotterdam where Ajax lay in wait. Dixie Deans missed Celtic’s first penalty, Inter scored all of theirs and the Celtic striker was left to cut a forlorn figure at the end of a gruelling encounter. Stung by the criticism Murdoch worked even harder to lose the excess weight, and as the season drew to a close his form was improving with every outing. It was fortunate that he was at his best because Celtic were without two of their brightest stars. through injury: the invaluable David Hay was sidelined and Danny McGrain, a most promising full-back, had fractured his skull at Falkirk . Kenny Dalglish had enjoyed a splendid season, but was showing signs of fatigue at the end. Celtic: Williams, Craig, Brogan, Murdoch, McNeill, Connelly, Johnstone Deans, Macari, Dalglish, Callaghan. Hibernian: Herriot, Brownlie, Schaedler, Stanton, Black, BlacK . Edwards, Hazel, Gordon, O’Rourke, Duncan (Auld). They were treated to a superb defensive show by the Hibs. For the first two minutes. Then Callaghan floated a free-kick into their penalty area, Billy McNeill connected with his foot and the fun had started. Undaunted, the Hibs fought back and equalised thanks to a goal by Alan Gordon. But with a midfield and forward line that could call on the services of Bobby Murdoch, Jinky, Kenny Dalglish, Tommy Callaghan and Lou Macari there were few teams that could withstand Celtic when they were in the mood. Hibs certainly weren’t one of them. The simple explanation of Hibs’ defeat is that Bobby Murdoch established himself as boss of the mid-field. He ruled that area with the haughty majesty of a ring master, bringing order to it and sending out his acts to delight the audience. His was football of world class. Its quality was not just in interception and positioning and in accurate imaginative passes to inspire attacks, but in the less flamboyant settling passes. He could step into trouble and sweep the ball back to the goalkeeper or to a distant part of the field to allow the defence to get organised again. He always did the right thing. In such form there would be a place for him in any team in the world. Yet he is not in the Scotland pool of 22 players for the Home Internationals. He was well supported by the running of the willing Tommy Callaghan but not so well by Kenny Dalglish who was out of touch completely and found usefulness only in filling space where Hibs hoped to find it. They had banked on establishing some sort of control in the mid-field. If Kenny wasn’t having one of his best afternoons in a Celtic shirt nobody noticed once the Dixie Deans show got under way. For another Celtic player it was a chance for redemption. Deans was a swashbuckling striker, and he soon shrugged off his costly penalty miss, but detractors suggested his goals were against run-of-the-mill opposition.In this Scottish Cup final he had something to prove, and luckless Hibs suffered as a consequence. Deans restored Celtic’s lead in 23 minutes, clamouring for Murdoch to hoist another free kick in his direction and then outleaping the Hibs defenders despite his shortness to head powerfully into the net. Overjoyed at being picked to play in the final instead of Bobby Lennox, Dixie was tormenting the Hibs defence as only he knew how. During his Celtic career, in 13 full games against Hibernian Deans scored an amazing 18 goals. They in cluded THAT goal in the final, the second of his hat-trick that afternoon. To a twelve year-old watching from the dizzy heights of the old Hampden North Stand it looked as if he danced a mazy dribble past Herriot (twice), Brownlie (at least twice), three ball boys, twenty seven policemen, two horses and a bus stop on the Aitkenhead Road. At half-time Celtic led by 2-1, and the final was still in some doubt until Deans settled the issue with one of the most remarkable goals in Scottish Cup history. He gathered a misdirected clearance before rounding the goalkeeper to advance on goal along the by-line; he sidestepped Brownlie and the keeper, Herriot, once more, and then shot into the empty net before finishing off his spectacular feat by somersaulting in his happiness to acknowledge the cheers of the Celtic supporters. Hibs were shattered by the goal and in the 74th minute Deans completed his hat trick by cleverly running to a through ball from Callaghan. In the last seven minutes Macari wrapped things up with two goals, with both moves originating from Jim Craig, playing in his last game for the club before leaving for South Africa. It was the first hat-trick in a final since Jimmy Quinn’s in 1904 and Macari’s brace completed the biggest rout in a Scottish Cup final since Renton gubbed Cambuslang by the same margin in the days before goal nets. On May 26th 2001, the final against Hibs was a match which clinched a rare and memorable domestic treble for Celtic under Martin O’Neill. Douglas, Mjallby, Vega, Valgaeren, Agathe, Lambert (Boyd), Lennon, Moravcik (McNamara 14), Thompson (Johnson), Sutton, Larsson. Subs Not Used:- Gould, Stubbs. Goals:- McNamara 39, Larsson 48, 80 pen. Colgan, Smith, Sauzee, Fenwick, Murray, Brebner, Jack, O’Neil, Laursen, Libbra, Paatelainen. Subs:- Westwater, Arpinon, Lovell, Lehmann, Zitelli. By contrast with the previous year’s hatefest against the team that used to play at Ibrox before they went defunct this was a green and white love-in (kind of). Both Chris Sutton and Lubo Moravcik had recovered from injury to make the starting line-up and what an unfluence Sutton had on the team. Within the opening minutes he had Hibs goalie Colgan worried ried by a swerving shot and he went on to have what many considered a man of the match performance. Lubo didn’t have such a happy occasion. After a promising start he made a dart down the left wing but had to stretch to keep the ball in play. The strain of that opened up the gash in his shin that had kept him out of the team in the weeks leading up to the final. He made way for Jackie McNamara. At first the substitution seemed to break up Celtic’s early momentum and allowed Hibs back into the game. Rab Douglas had to tip away a corner from the head of an onrushing Hibs forward while Vega was doing his ongoing contract negotiations no good at all with a performance that would have made Gary Gillespie blush. Fortunately Mjallby and Valgaeren were more resolute. It would be fair to say that Didier Agathe had not been at his best against his former team that season. In three matches against Hibs he had been subbed in two and sent off in the other. Payback time came in the 40th minute. Having tied Laursen in a nice wee knot and left sundry members of the Hibs midfield in a pile he played a killer pass through to Celtic’s new goal machine, dead-eye McNamara. He dragged the ball to his left foot before placing it back across goal and into the net at the far corner. In at half-time with one hand on the trophy. If the timing of the first goal was cruel to Hibs then the second was downright nasty. Valgaeren broke up an attack in the centre of the defence before giving the ball to Thompson. The midfielder in turn picked out Sutton who laid it off to McNamara. Jackie’s cross was met by the left foot of Larsson who nearly took the net off its moorings. It stands as one of the best Scottish Cup goals ever and it effectively finished the game. Nevertheless, Larsson still had time to win and convert a penalty, although he was thwarted in his bid to score a hat-trick – which would have been his second in a domestic cuo finals that season. Dead Eye Jackie McNamara opened the scoring before Henrik Larsson administered the coup de gras with a double, the first of which was a left foot drive that nearly ripped the net out of its moorings, the culmination of a great team move and one of the best Scottish Cup Final goals ever.